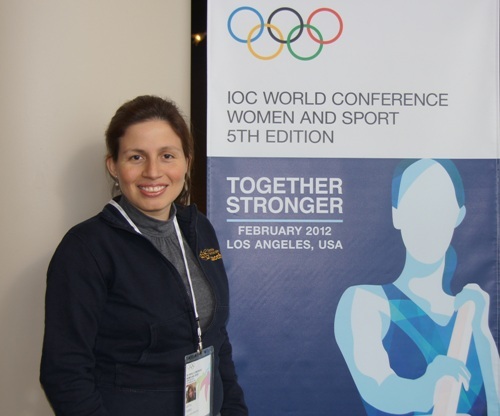 The International Olympic Committee organizes a World Conference on Women and Sport every four years with the objective of analyzing the progress made within the Olympic Movement and identifying ways to improve and increase the participation of women in the world of sport. 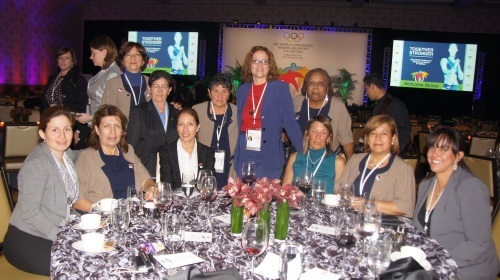 The 5th IOC World Conference on Women and Sport was held from February 16-18 in Los Angeles, United States. 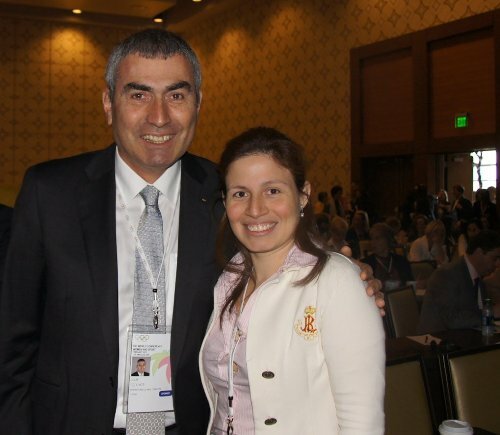 Participants from more than 130 countries attended, representing National Olympic Committees, International Federations, Non-Government Organizations (NGO), universities and it is great news to inform you that the FIDE Commission for Women’s Chess (WOM) was present! 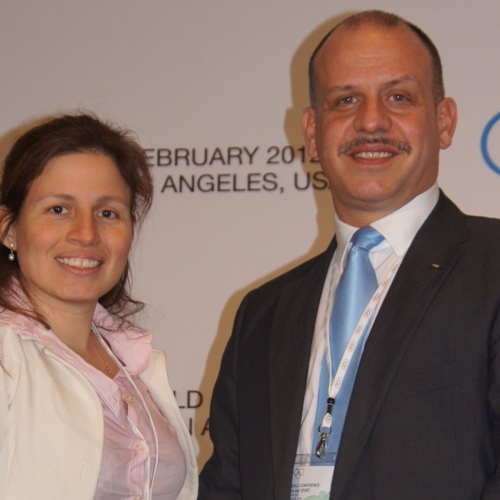 The conference started by awarding the 2012 IOC Women and Sport Awards. The award giving was held during the opening ceremony with the participation of the Mayor of Los Angeles Mr. Antonio Villaraigosa and after a welcome dinner were the participants got a chance to meet each other, exchange information and ideas. • The Importance of Role Models and leadership. • Leadership views on women in the world of sport. • Making gender equality a governance. • Impact of successful public polices for promoting women and girls in and through sports. 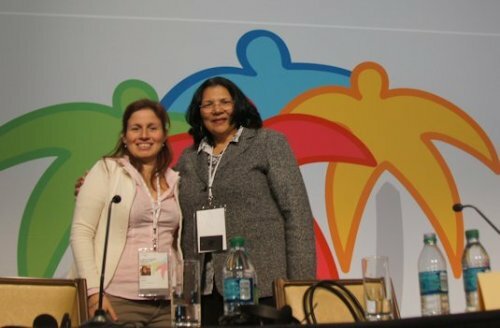 • Women and Girls with disabilities and Sport. • Women, Sport and Peace in developing countries. • The making of a complete person – striving for excellent in life through sport. • Providing economic opportunity to women. • Media coverage of women’s events. • Lord Sebastian Coe – President, London Organizing Committee of the Olympic Games and Paralympic Games. • H.E. Aloysia Inyumba – Rwandan Minister of Gender and Family Promotion. • Mellody Hobson – President, Ariel Capital Management; named a Global Leader of Tomorrow by the Davos World Economic Forum. 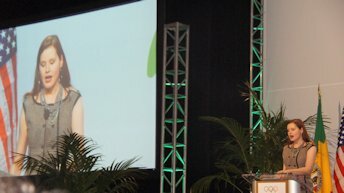 • Nancy Hogshead-Makar – Olympic medalist; expert on Title IX. • Dr. Richard Lapchick – Director, Institute for Diversity and Ethics in Sports. • Dr. Diana Meehan – Founder, Archer School for Girls; Founding Partner, VU Productions at Paramount Studios. It was a valuable and significant experience for the WOM. 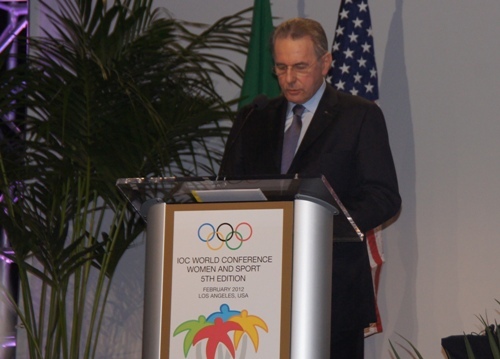 To be in direct contact and gather information from different International Sport Institutions such as the IOC will open new windows of opportunity for future collaborations.